CAT interim order- in respect of OA No.4308/2014 . 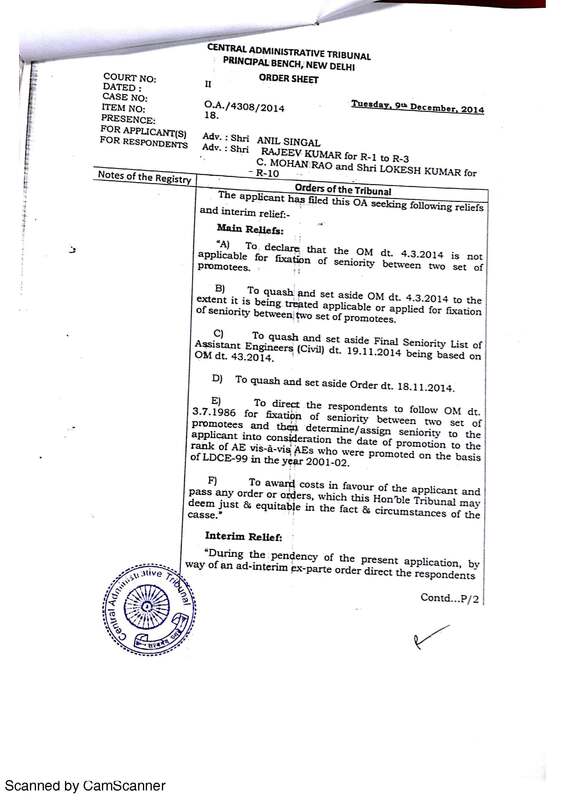 Please find a copy of CAT interim order of 09/12/2014 in respect of OA No.4308/2014 regarding non operation of seniority list of AE(C),CPWD issued by directorate on 19/11/2014 . 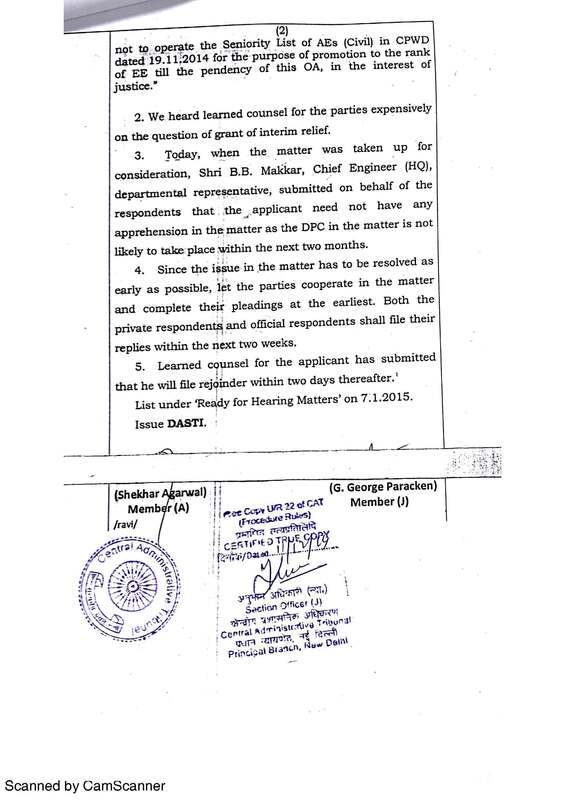 Next date of hearing of this case is scheduled for regular hearing on 7th Jan,2015.